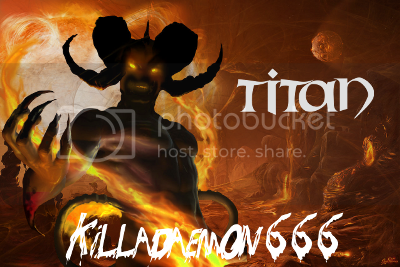 This is my first time posting in Titan forums. I played dc years ago and started getting back into it about a month or so ago... Regardless, I needed some people to share the experience with and here I am. From what I've seen of the boards this looks like a fun place to hang out. greetings friend if u send a dc-mail to genji i have a 23a 92d ayotl shield u can have cuz i actually have 2 of em. I say the more the merrier and i look forward to u posting more often. Thanks killa that'd be great. I'll send you a note. ill give u a little tip aswell if u buy the dollar drinks at the seaside store u can drastically improve your charm and thus skill try saving 5-10 quests a day drinking at the bar its alot of clicking but it pays out in the end its better to do it when u are at a low level aswell. Thanks for the advice killa, I'm now at 400 charm. I'm also totally clicked out. but my skill is now looking quite a bit better. I'll have to shoot for another couple hundred but I'm good for now. lol I know the feeling I dont have too much time to quest except on the weekends but ill be keeping an eye out for upgrades for ur suit.